I know that I’m not the only one so exhausted I want to go to bed at noon (thanks to a teething baby) or with a never ending to do list (thanks to working, being a wife, mom, trying to get projects off of the ground and so forth). Some things will pass. (I know those teeth will finally come through, right?) Other things I might have to let go of. Living life feeling like you are barely afloat isn’t much fun. In fact, it can be pretty miserable. When I am overwhelmed and exhausted, I tend to not enjoy life. I also snap easier and am crankier. Sometimes my family doesn’t want to be around me. Living life simply surviving can be necessary for a short time and for a specific purpose: working hard to get a business off of the ground, taking extra classes so you can finish your degree early, lack of sleep because of sick children or a baby. It’s not how we should want to live for any length of time though. Give me simpler and more relaxed any day. I’d rather enjoy my family, take last minute trips to the park, read some of my favorite books, excitedly plow through projects around the house than live life so overwhelmed that I don’t actually get satisfaction out of doing anything. How do we stop living this way? 1. We have to admit to ourselves that we can’t (even shouldn’t) do it all! Our time is a limited resource just as our finances our. Dollar bills don’t grow on trees and neither do minutes. I have 24 hours in a day 7 days week and no more. When those hours are filled, I don’t get more. I can’t do it all. First, what stage of life are you in? This will help determine your priorities. Young children, homeschooling, kids in school, new business endeavors, retired etc. When I know there’s going to be a newborn in the house, I need to prioritize differently – focus on the bare minimal. What are the want to dos? What passions and gifts do you have? Using the lists and thoughts from the above questions, prioritize what’s important to you and your family for this stage of life! 3. We have to learn how to say no! It can be hard. I worry about offending people or hurting someone’s feelings. I feel guilty saying no. I want to say yes so that people will like me. What is right for me and my family is going to be different than what is right for you and your family. We have different strengths, talents, personality types. Our husbands and kids also have different needs and strengths. I can’t be someone else. The sooner I come to terms with that fact the sooner I can stop putting on fronts and stop wasting time trying to be someone God isn’t asking me to be. Know where you want to end up. Envision what it’s going to look like for your family to thrive – to truly enjoy living. Make goals and action steps to help you get there. Imagine them as your road map to help guide on your journey. You’ll never start to thrive if you don’t begin. It’s okay to stop and make changes along the way, but doing nothing will keep you in survival mode. Crystal Paine’s book is a great encouragement and fantastic resource as you begin your journey. I highly recommend you purchase it or if your budget doesn’t allow ask you library to add it to their shelves! UPDATE: There is a new post on When Surviving is the Only Option here! What can be do if our circumstances aren’t going to change and we’ve already said no to everything and planned and organized like crazy? Head over to find out! What advice do you have to go from surviving to thriving? 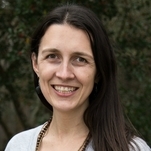 This entry was posted in Uncategorized on January 16, 2014 by Deanna Michaels. This is a great post. 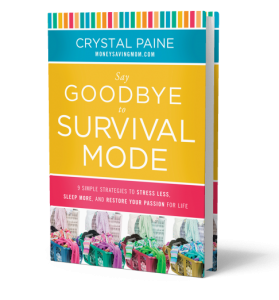 It’s so easy to slip into survival mode…I find myself doing it all the time! Thanks for the tips and ideas for striving to thrive. Visiting from Simple Lives Thursday. I loved your third tip – “Learn how to say no.” I always seem to find myself in a predicament where I should say “no” but end up not doing that… I should work on that problem. Thanks for the motivation! Thanks for sharing your words today! Joining you from Essential Thing Devotion link up. You see it’s the planning part I’m so bad at. I’d like to think I can plan for something, but truth be told I am a terrible planner. Now I can follow a plan, sometimes stick to it, however I’m more a sporadic just go withit kinda gal. Makes getting life “on track” a little difficult at times. Thanks for stopping by and commenting, Shannon! You are right, the sitting down and actually make a plan part is the hardest. I think it really makes a difference. Even short plans/easy goals for the day help me get way more accomplished. Sometimes a guideline plan helps but still allows you to be sporadic. 🙂 I’m starting to follow these steps more regularly again. Blessings, Deanna! What a great post today! Visiting you from Laura’s Faith Filled Friday. I am in this very place – with many in my circle of friends. No matter the season of life you’re in – or how old you are – this is an absolute checklist for January – each year! I’m sharing this link on my Facebook page for the wellness group my husband and I lead – largely related to Young Living Essential Oils, but dealing with all aspects of making healthy lifestyle choices to help people steward themselves in Christ centered health and wellness. Each week I look for helpful things to post on our fellowship page. Thanks for having the word this week! HI Deanna! I’m stopping in from Let’s Get Real today. This post has really got me thinking. I think my husband is really struggling with this right now. He is so busy answering to everyone that he doesn’t really have time for himself and it’s starting to wear him down. I’m going to share this with him this weekend. He is a reader and will likely want the book. Thank you for these timely tips. I truly appreciate them. 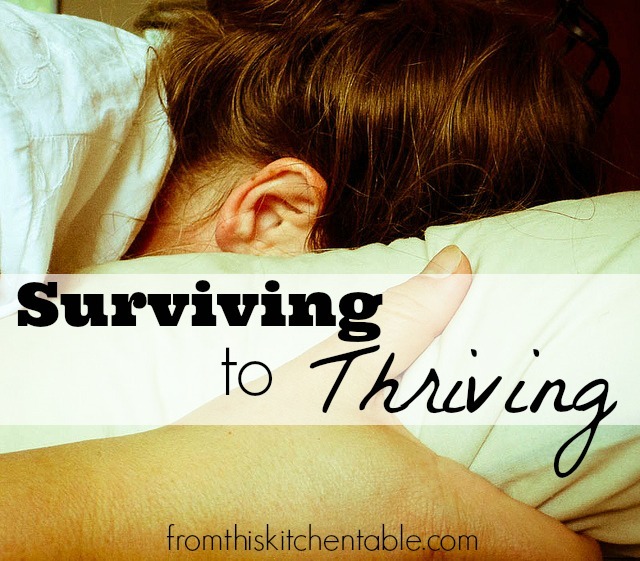 I am in need of learning how to thrive instead of just surviving. I have a business I desperately need to get up and going and priorities are important to me. Thank you for posting. Have a blessed day! So true, sometimes we just have to let the little things go and relax with our family and friends…who cares if the floors aren’t vacuumed or the blinds dusted – right? Stay Blessed ~ No Stress in the New Year! Thank you for linking up with us at #WWDParty – I hope you have a wonderful weekend! Exactly. Dusting, what’s that? 😉 Sometimes those are things to say no to staying on top of. It’s hard to remember that each person/family is different and has different priorities and needs. Can’t compare my house to someone else’s spotless one. Love thinking about no stress in the New Year! Thanks for reading and commenting! I’m sure that twins have kept you quite busy. Hope that you guys are able to settle what works for your family so that you can start thriving. I love the post you chose to link to WWDParty again! It’s funny. Though I’m now taking a low-key on-line class, I can do it in about two hours a week…and it only lasts 6 weeks. BUT I know that one of my volunteer positions at church needs to stop later this year. Thanks for joining again! Thanks! Hope that your transition to one less volunteer position goes smoothly and helps you thrive more. 🙂 Stopping things that you are already in the middle of is harder that just saying no, I think! Appreciate you commenting and hosting! Your post is spot on. I try to live by all five of these points. I would add set time aside to recharge. I think as Moms we often put ourselves last and everyone suffers for that. I have alone time scheduled at least once a week. My husband is very supportive of it. Honestly, there are times when I try to cancel on myself and he forces me to do it. It has made a huge difference for all of us. Love your additional point! So true, if we are stressed and tired everyone around is suffering. For me, even taking a long hot shower and forgetting about the messes and kids for even that long really helps. What a great husband you have. It’s great how you have it scheduled. It is so important to our health that we get the rest our body and our mind needs to function properly. We often put such unnecessary pressures on ourselves by trying to do it all. The world will not stop spinning if we don’t get it all done. Heck with it let the house be dirty for a day while you treat yourself to a massage. Unnecessary pressures! Yes. So many things are things that just we think need to happen. Our family doesn’t care and neither do our friends. Thanks for stopping by and for commenting. Great advice! Thanks for sharing at Pin It Monday. Thanks for stopping by and commenting! I appreciate it. So true, there is more to life than surviving. Thanks goodness! Have a great day. This is so useful for just about every mom! I’m going through a phase like this right now when there is just too much to do. Thank you for reminding me that some things have to go and I need to focus on priorities. 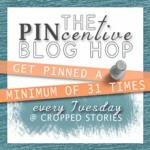 Stopping by from Good Tips Tuesday! And I love the Money Saving Mom too! Thanks for your comment! Letting things go and simplifying has really helped my stress levels and happiness. Isn’t Money Saving Mom amazing! Love her approach to life and her wisdom. So glad to find this post through Motivation Monday! I’m always saying that I feel like we tumble through the week. Only saying yes to what works for your season in life really rung true to me… it feels like we are scattered everywhere in our life! Thank you! So true. It’s easy to get scattered and overwhelmed and just make it through. I don’t like when my weeks are like that. So much better to prioritize and be intentional about what I plan to do. Make me much happier and less stressed. 🙂 Thanks for stopping by and your comment – I appreciate it. Love this wisdom here! I see so many people who are living lives just surviving because they are not prioritising and are trying to do it all! I believe in the simpler life too! I love a simple life! When I have to much going on I can definitely tell from my stress level and enjoyment of life. Much better to prioritize and do less and actually enjoy what you are doing than try to cram it all in. Thanks for hosting! Great post! Loved it 🙂 Thanks for linking up to the Weekend Wind Down Party! Just wanted you to know that you’re being featured this Friday night at our party! HAve a great week! Thanks! So glad you liked it and thank you so much for hosting the party and for featuring this post. Looking forward to Friday. You have a great week as well! You are correct on every point. I don’t know where to start but I need to implement every one into my life more often. Thanks! Thanks for stopping by and commenting! Hope that you find time and ways to implement a few ideas. We just do the best we can! I needed this today! Thanks for linking up to Good Tips Tuesday! I need to remind myself of the truths in the post a lot of days as well. It’s okay to not do it all! It’s really hard to say no, isn’t it? Thanks for the reminder how important it is to do so. Visiting you from Family Fun Friday. It can be so hard to say no and realize what’s really important to focus on during specific periods of our life. Thanks for stopping by and commenting! Great post!! Lots of wisdom in this. When I had 3 kids, I did everything! Now that I have 4, I find that I am more overwhelmed and need to do the things you posted here. Stopping by from T2D Link up. Thanks so much for your comment and for stopping by! I need to often remind myself to slow down and prioritize and do the things I have listed. Life can get so hectic and right now things are especially busy. We are kind-of in the midst of an exhausting/busy time in our lives and it is so helpful to remember to prioritize and that’s it’s okay to say no. I enjoy life so much more! Yes, I agree, being able to clean closets, plan, and breathe is pretty wonderful. So glad you are able to again! This is SO me lately. Just what I needed to hear. I’d really like to read that book. The book is fabulous, I really hope that you can read it soon. I hope that you find a way to start thriving!